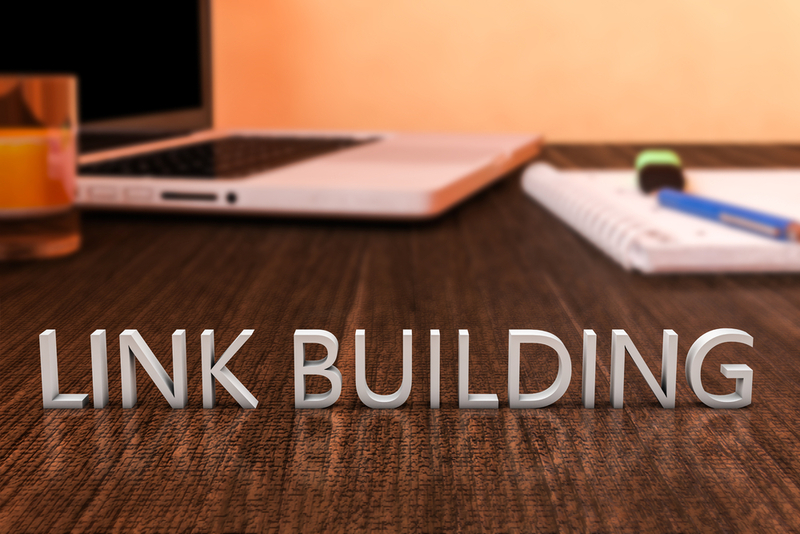 Link building is an important aspect of SEO marketing. If you have not yet employed link building strategies in your marketing structure, you are possibly missing out on potential business. Using link building strategies will help you create high-quality SEO marketing campaigns that will help your business thrive. But, first you need to understand what it is and how to use it. Link building is a strategy that that gets web pages to link to each other by acquiring hyperlinks from other websites and apply them to your own site. It helps users navigate between different pages on the Internet. They also help search engines crawl between the pages on your website. There are different ways to build links. But, if you can master at least one of them, it can catapult you ahead of your competition. In the United States, the interest for link building has grown 43 percent since 2005. The beginning: the first part of the link is known as the anchor. It opens the link tag and indicates to the search engine that there is a link that leads to something else following it. This part of the link is identified by an “a”. Link referral location: the referral location shows to where the URL is pointing. It can be another web page, an image, or a downloadable file. This part of the link is identified with an “href”. If this part begins with a #, it indicates that the link leads to a different section of the same page. Visible text of link: this section consists of a small portion of the text that users will see on the page when they click on the link. It often stands out from the surrounding text in some way. It often appears blue and underlined to indicate it is a link that can be clicked on. Closure: this part of the link indicates to search engines that the link is complete. For your links to be truly worth building, you must have valuable information to link to. Start your website’s homepage. Build links that connect to important industry information and other specialized resources. Also, create a blog that contains relevant information that you can link to as well. Much of the content you will want to include will already have been created by your organization, some of it will need to be expanded on, and some of it will need to be created from scratch with the idea of building links to it in mind. When you reach out to other entities to create links to your site, try some of these tried and true strategies. The structure of link building is organic and changes continually, so it is important to keep up on the practice and be willing to make changes whenever necessary. However, as long as you start with content that is worth linking to, the effort you put into building links is well worth it in the long run. Links were found to impact search ranking more than any other factor. Backlinks are one of Google's top three ranking signals. Google looks at links to a page instead of just analyzing the content of the page. SEO tools demand has increased by over 200 percent over the past decade and is continuing to rise. A case study was completed by Backlinko found that one Stumbleupon post had 17,584 different visitors to a brand new website during just one day and then over 204,000 total visitors in the last four months. There was also a consistent growth pattern for traffic for the entire website. Evaluate where your link is on the page: links in the middle of the page are worth more than links in footers and sidebars. Put more links in the main body of the webpage. Use emails to your advantage. Instead of asking for a link in your first outreach email, you may want to wait. Consider using a two-step process instead. First, send out a feeler email. Second, send out a very personal email. The reply rate for the two-step sequence is 40 percent, while the direct pitch has only a 16 percent reply rate. Heading into 2018, keep prioritizing content. You will have more success with people linking to your content if you have valuable content to begin with. The rest of the work that you put into link building will be for nothing if you don't have the content to back it up. It is a great time of year to reevaluate your strategy and improve as we head into a new year. After content, you should prioritize the relationships you have with other businesses and make sure to keep these strong, so you can help each other move forward and have continued success. Looking for a place to start? Did we build your website? Contact us today or leave a comment and link build with Virteom! We can write a featured blog post about your website and in return, you can write a blog about working with us!